Use a nail colour that is closest to your skin tone. It will make your nails look naturally beautiful minus the exuberance of a shocking pink or Russian Red. If you strictly don’t want to use a nail polish or find it difficult to find a shade that matches your skin tone, then apply some top coat for a dewy sheen that will make your natural nails literally shine! 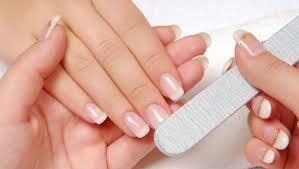 Often the reason behind your nails looking dry and unkempt is because of dry cuticles. Use a cuticle moisturiser and achieve a smooth, well maintained look. To make it a complete routine add some hand cream to your care process and voila, beautiful hands! For a natural fuss free look, it’s important to cut and file your nails regularly. This way their shape is maintained and you don’t risk breaking off a nail when it grows too long. 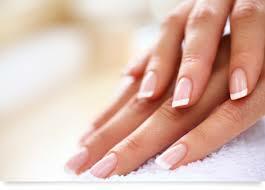 It’s a good idea to also buff your nails well so that all dead skin can be eliminated. This way your hands look neat and professional. The most important thing when it comes to achieving a naturally appealing look, is good hygiene practises. Making sure you wash your hands often, and not build up any dirt is very important. There is nothing more unsightly than dark shadows of dirt under your nails. If you find that your nails are a looking a tad bit yellow, worry not. This usually happens when you wear dark nail paints for a long time and your nails don’t get to ‘breathe’. Lemon being the bleaching agent that it is, will be able to gradually get rid of the yellow tinge. So every time you remove your nail paint, make sure to rub some lemon juice on it and wash it off after some time. This can help retain the natural colour of your nails. Wasn’t that easy? I know you will love the effect your pristine nails will have on your self-confidence. It’s the same rush you get after a luxurious mani-pedi. So try these tips and don’t forget to let us know what you think in the comments below!